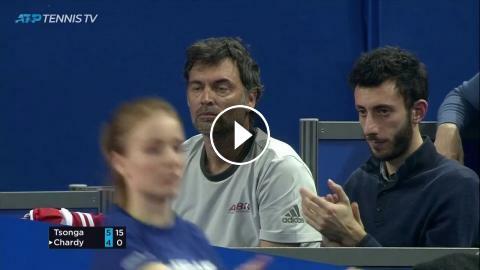 Watch Jo-Wilfried Tsonga, who has a two-handed backhand, hit a one-handed backhand for a winner against Jeremy Chardy at the Open Sud de France in Montpellier on Friday evening. Photo Credit: J.B. Autissier/Panoramic. Watch live tennis at tennistv.com.